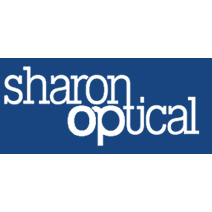 Sharon Optical, your hometown optician! Quietly nestled in the bedroom community of Sharon, MA is a well regarded and often referred boutique optical center. Sharon Optical provides complete eye care service, from examination to dispensing of the finest contact lenses, eye wear and more. Conscientiously owned and operated by Mr. David Hazell and enthusiastically supported by talented optometrists, Drs. Amy Dubrow and Wendy Newman, Sharon Optical is a genuine hidden jewel. See better, look better, feel better.